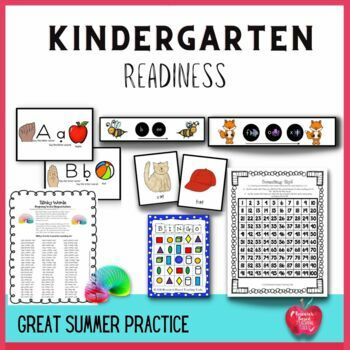 Our packet includes hands on, entertaining activities that are based on Common Core Curriculum so that your child or student will be prepared for Kindergarten! - Concepts of Print that provide an understanding of the title, author, title page, front of the book, back of the book, what page to read first, which direction to read etc. - Reading Comprehension by drawing pictures to retell the story, characters in the story and order of what happened in the story. - Slinky Words to help children begin understanding how to segment words if they are unable to identify letters. This is a fun activity that encourages children to segment words they come up with on their own! - Word Segmentation with pictures and letters. 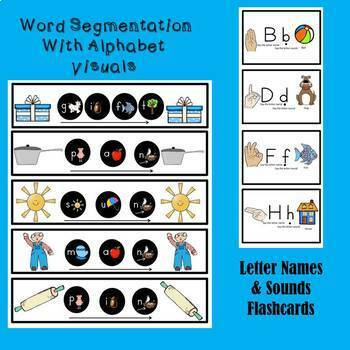 - Word Segmentation with pictures, letters and visuals that go with the letter sound based on the alphabet flash cards that come with the unit. 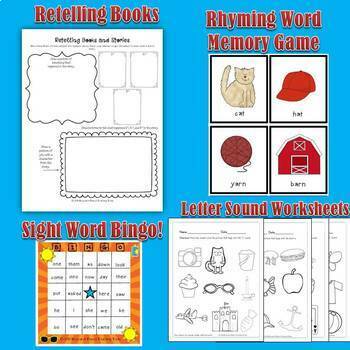 - Alphabet Flash Cards that include ASL and visuals that correspond to word segmentation activities. 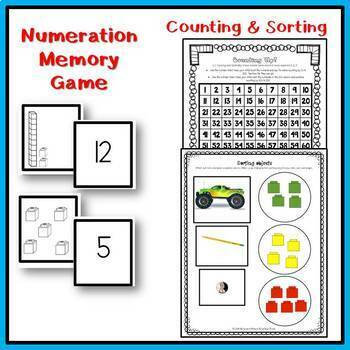 - Numeration Memory Game with Base Ten blocks and Numerals. - Counting Up! Activity for children to practice counting by 1’s to 100 while identifying the numerals. This activity also encourages counting by 10’s to 100. ❤️ Dollar Deals: Alphabet Cards and Ten Frame Cards Mittens and Snow! As stated in the Teachers Pay Teachers refund policy, “all sales on TpT of digital resources are considered final and nonrefundable.” Please ask any questions you have about this product before purchasing. Thank you!